-Preheat oven to 350*. Cream butter and sugars, beat in eggs one at a time. Mix the dry ingredients and add to wet in small batches. Slowly fold in the berries and chocolate. Spoon onto a greased cookie sheet an inch or two apart from each other and lightly press down, (you can decide how big or small you want your cookies to be..I think I came out with about 20 myself). Sprinkle with a little sea salt and bake for 12-15 minutes. 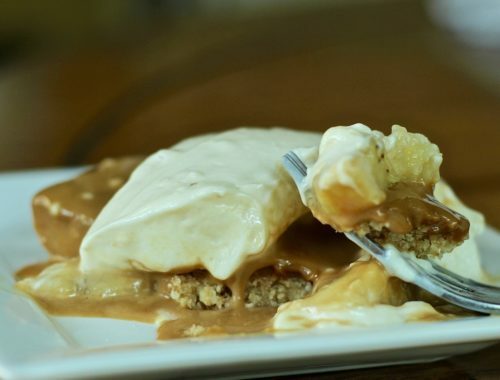 Salted Caramel Banana Pudding Cheesecake.